March Madness is here and it wouldn’t be right if Afromadu didn’t talk about the exploitation of the college athlete…. For those who don’t know, “March Madness” is an annual basketball tournament that the NCAA league puts on to reward the best team in college basketball. While this tournament is televised and guy world stops a few weeks to watch these series of games, people all around the United States place bets and create “brackets” with reams that they believe have the potential to win the title. Sounds fun right? WRONG. Because of the publicity that this event brings in, it also allows all of these college basketball teams to make millions of dollars off of seats for people to watch the game, paraphernalia that people buy to show off their favorite team, the grand bets that fans make throughout this event, and soo much more that one can’t possibly think of (idk, just wanted to be a bit dramatic). Did i ever mention that these basketball players make no type of profit for the games that they play and the publicity that they get? Isn’t this a bit like slavery? 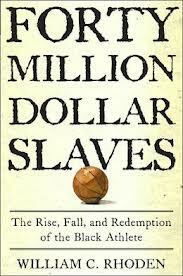 William C. Rhoden’s, Forty Million Dollar Slave book discussed the problems of the Black athlete and compared the processes of these basketball players to the logistics of slavery. Because these athletes feel that they are going to be POTENTIAL professional players, who will potentially have professional salaries, they work super hard in college -even it means playing for no type of economic gain- in order to get enough shine to go pro. But how much is too much shine? Would you rather become abused and mistreated by the talents that you value and fall short while people are making millions of dollars and placing numerous bets on the talents that you worked so hard on? This question raised a big predicament to a college basketball player who realized the same previous questions that I posed. 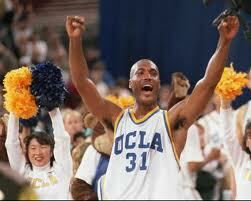 Edward O’Bannon, a college athlete from UCLA realized the exploitation that he was receiving from the NCAA and filed a lawsuit against them after he saw that the corporation was still using his name and using him in a special edition version of a video game by NCAA. Edward O’Bannon felt like his college career was enough for them to make money by his athleticism, and that this new video game should not feature him without his consent. In the end, the NCAA has the power to exploit these college athletes, mainly African Americans, simply because they have the power to do so. “March Madness” and its exploitation is, indeed, mad.